Really cute card! You did a great job on your snowman, maybe you have a hidden talent! I think you are dreaming (literally dreaming) of a white Christmas considering we don't usually get snow for Christmas. That's okay though, I'm right there with you -- I want snow for Christmas!!!! Awww, snowman is cute! The altered house is so pretty with snow, I love the little bird still hanging around despite the cold. The DP is perfect - wonderful job and happy T-day! How smart are you! I never would have thought to do this! It turned out beautifully! I love how the mat says Merry Christmas! 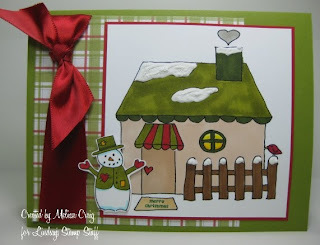 I love that you added the merry Christmas and the hand drwan snowman, great way to make it your own! the snow on the roof is a great touch! 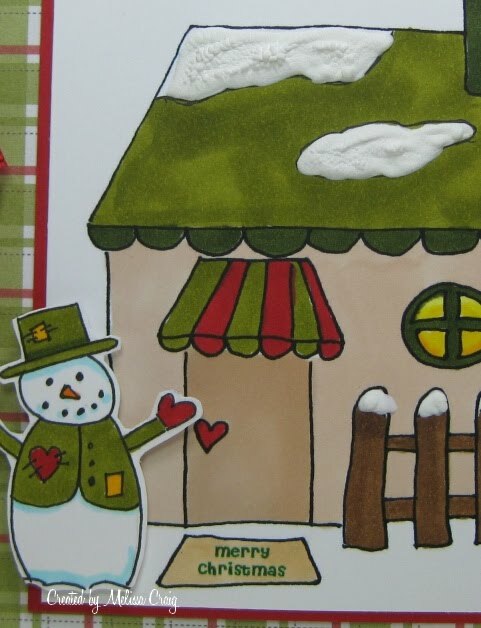 Your card is very cute...I love the snowman. You should've made a copy of it before you colored the original - you did do that didn't you??? Awesome card, Mel! 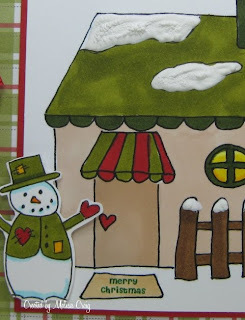 The snowman is perfect popping out of the image, love the 3-D snow, and that ribbon is SO yummy! 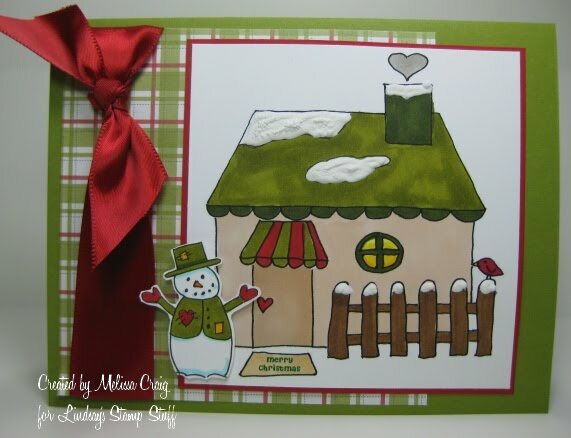 Melissa this is so cute and clever to make a winter scene, love the little snowman!